Whatsapp offers a free way to send text and multimedia messages to other users who also installed the app on their smartphone. 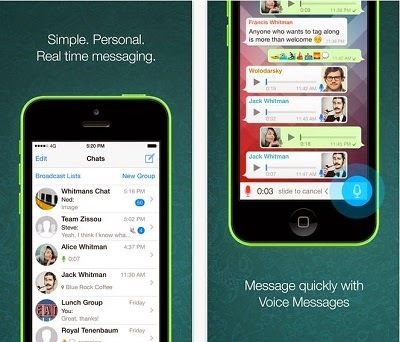 Whatsapp also allows users to create their own group chat. There is also a updated version of the app which allows you to add captions to photos. 3. There is no need to add friends Whatsapp automatically loads your contacts and shows users who are currently using the app. 4. To start a group chat tap on the top right and select the new group option. 5. The app also lets to send offline messages and the messages will be automatically sent to the user when they come online. Though Whatsapp isn't officially available to download for Chromebook you can follow this tutorial on how to download android apps for Chromebook and use the same to install Whatsapp on your Chromebook.